Caterpillar R1600H LHD Mining Loader and Underground Haul Truck | Amalgamated Mining & Tunnelling Inc. The R1600H underground mining loader is designed to meet the challenges of the most demanding underground mining applications. Compact design with agile performance, rugged construction and simplified maintenance ensures excellent productivity, long life and low operating costs for this underground haul truck. Engineered for performance, designed for comfort, this LHD is built to last. 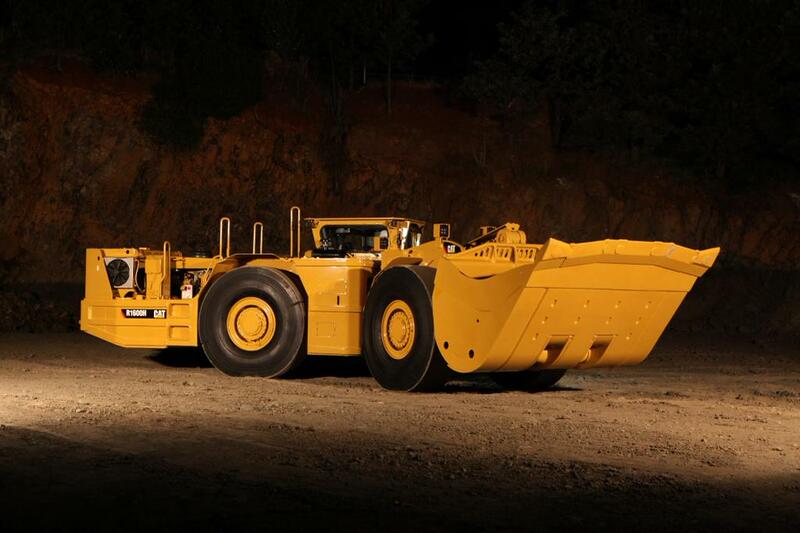 The Cat C11 engine offers the perfect balance between power, robust design and economy. Reliable and rugged design to deliver power and efficiency for peak power train performance. Perfect balance between low effort controls and powerful hydraulics for smooth and fast cycle time. The heavy duty frame is designed and built to absorb twisting, impact and high loading forces.